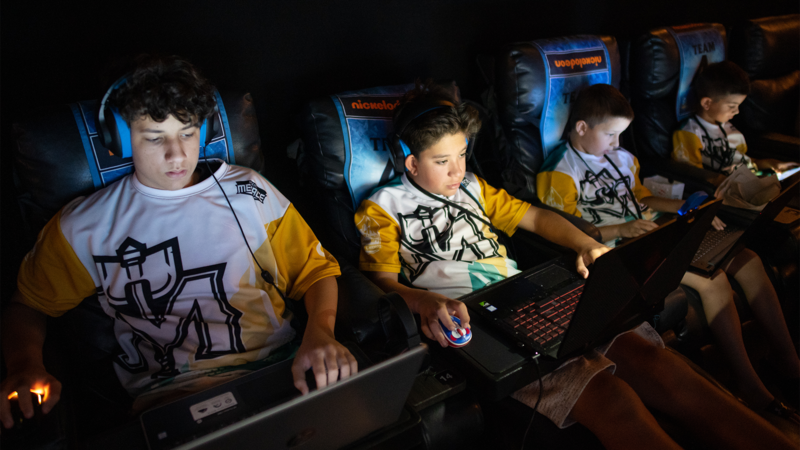 Last Saturday, the first day of Divisionals for Season 4 of Minecraft City Champs brought some surprises. With a new format and fresh start, our sixteen cities eagerly battled it out for a chance to play in the Grand Final. Check out the current scores below, as well as the matchups to look out for next week! Central Division In the Central Division, the Phoenix Blaze scored a tight win over Houston giving them an early tie for 1st place after one match. Meanwhile, the Dallas Dynamite are looking to claim a FOURTH Grand Final appearance after beating Denver. 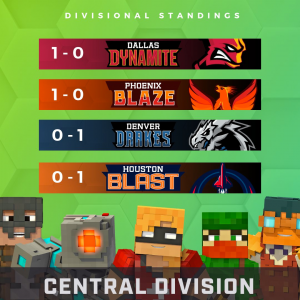 Matchup of the Week: Dallas vs Phoenix – the two undefeated will face off in Match 1 this week to determine who remains undefeated and owns first place! 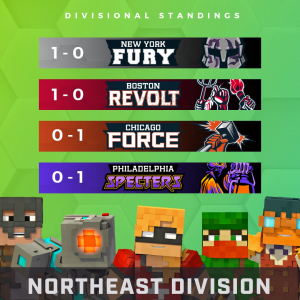 Northeast Division The Boston Revolt and New York Fury dominated the Northeast division in the past and are looking to renew their rivalry later this season. Boston and New York dominated in Week 1, winning both of their matches 5 to 1 dropping both Chicago and Philadelphia to 0 – 1 on the season. Matchup of the Week: New York vs Philadelphia – Philly’s rematch with New York is vital to their playoffs hopes – can they pull off the upset? Southeast Division Tampa Bay and Washington DC took care of business both going 2-0 last week in defeats of Atlanta and Miami. DC is no stranger to success as they are looking to win their second-straight divisional championship! Matchup of the Week: Washington DC vs Tampa Bay Dungeoneers – both teams are on a collision course, bringing undefeated records into this weeks game! Who will escape victorious and in 1st place? 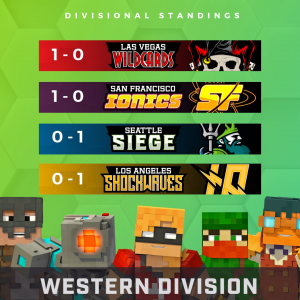 West Division The West was turned on its head as the LA Shockwaves began the season with a loss; the defending champs were narrowly defeated by the San Francisco Ionics in a major upset. On the other hand, Las Vegas shined in their game against Seattle – this will be an amazing division race to watch! Matchup of the Week: Los Angeles vs San Francisco – LA will look to avenge their loss this week as they play San Francisco in Match 2. Tickets for Minecraft City Champs are only available until THIS SATURDAY, so click here to join in on the fun!